Immerse yourself in the delicate perfection of this C.1920s folded rim latticino | filigrana ribbon bud vase produced by BAROVIER & TOSO. 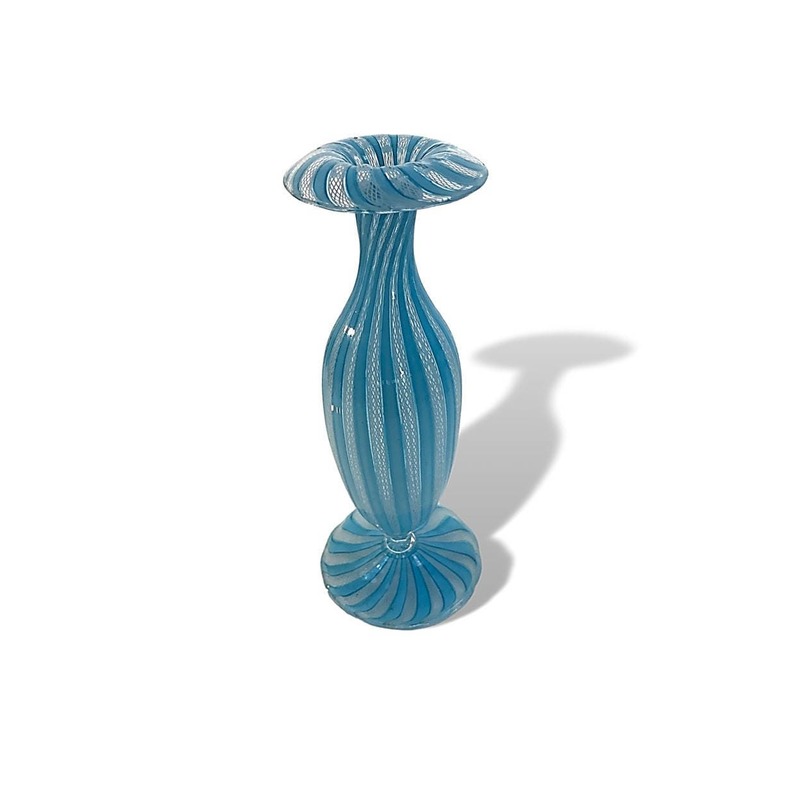 Leslie Pina attributed this sublime piece to Barovier Toso ("Italian Glass: 20th Century"), but I've also seen this design reliably attributed to Salviati. After a bit of research, it turns out that both attributions are likely correct! In short, this magnificent vase was almost certainly designed and produced by Barovier between 1919 and 1931 and marketed and sold under the Salviati label. Note the fineness of every detail. No imperfections or damage anywhere! 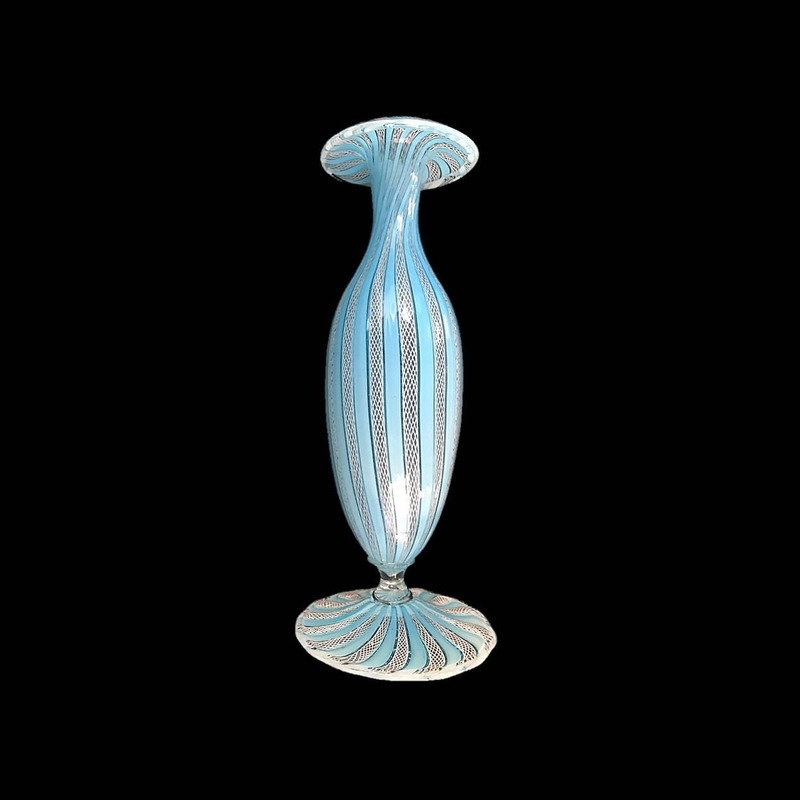 This spectacular bud vase is a fine example of inimitable workmanship of one of the great Murano masters.